QuickBooks is accounting software used for streamlining the business operations of an organization. Every year there are new features added in the latest QuickBooks which make it faster and more efficient to use. In this blog, we’ll be discussing what are the new and updated features added in the latest QuickBooks. Multi-Monitor support allows the user to use QuickBooks Desktop on up to three monitors. There is a provision to place your customer list on one screen while generating invoices on the other parallel screens. This can help you boost your productivity by leaps and bounds. Using this new feature, you can gain many insights simultaneously as well view multiple reports. Now you can easily find any account or a sub-account in a swift manner via an added search bar situated in the Chart of Accounts. Begin your search by account name or account number optimizing a large Chart of Accounts simpler to manage. The inventory valuation summary, Inventory stock status by item and Assembly shortage are three new types of inventory reports added in latest QB to ensure better insights and improve the flexibility of your business. These reports help in tracking of inventory with additional data fields. Multi-factor authentication when sending emails from Gmail, Outlook, Hotmail, and Windows Live through QuickBooks Desktop makes data security more and more stringent. This will ensure you to share confidential e-mails and data without any sort of identity or data theft making the whole process much more safe and secure. Now you can be a lot quicker and efficient by using the variety of keyboard shortcuts for copying and pasting lines in within an Invoice. Just Use ‘Ctrl+Alt+Y’ to copy and ‘Ctrl+Alt+V’ to paste a line within an invoice. This feature will help you get paid faster. Now you can get your customers to pay much faster with a Past Due stamp for invoices. QuickBooks can automatically add a past due notice on overdue invoices for emailing or printing. If you don’t want to add the notice to a particular invoice, just toggle the notice off with one click. Get multiple perspectives on a situation by analyzing your business from different angles in the same report. All you need is just a single click in the report window, and you can just instantly switch to cash or accrual basis and conveniently switch back and forth between the two. These are some of the new features added in the latest QuickBooks. These new features have brought along a plethora of benefits to the end user by improving the overall data handling capability and giving out better insights for optimized decision making. 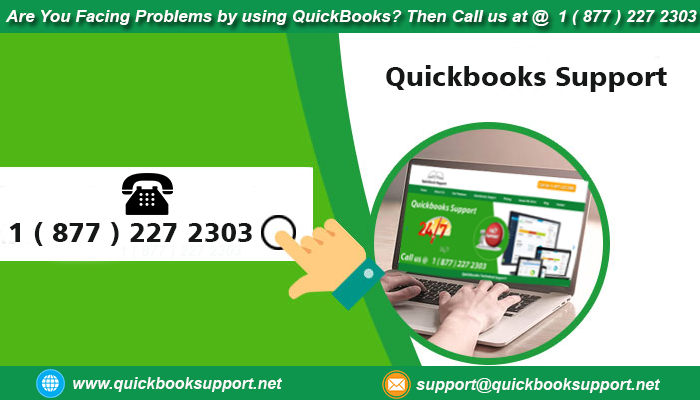 However, if you have any Query regarding these new features or you have some sort of confusion about the exact function or working of these updates, you can most definitely call on the QuickBooks support number 1-877-227-2302. Your queries will be answered promptly and effectively.